An overview of the Danish analyses and projects the Danish Think Tank has conducted. As the largest supplier of leisure reading, the libraries have an immense potential in making a social difference by promoting children's motivation for reading. Studies show that reading literacy not only promotes reading ability, but also the general ability and desire for learning. New quantitative and qualitative knowledge will be developed in the field, which takes into account the digital development and children's changed media reality. Research shows that culture, participating in cultural practice and visiting the library can have a noticeable positive impact on the overall health and quality of life for older people, along with being active and the number of social acquaintances. The modern library offers a wide range of cultural activities for many diverse groups of people, ranging from literature, cultural events to community-based activities such as local assembly houses. In collaboration with four public libraries and four nearby general residential areas, this project will gather new knowledge about and create methods for how cultural and social activities can be developed and used to reduce loneliness and increase the quality of life of elderly people. A quantitative anthropological analysis and quantitative analysis with more than 6500 respondents. 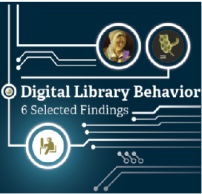 The main report present key findings from the two studies with focus on user segmentation, behavior, drivers and barriers of digital library use. And finally, major cross-disciplinary findings with focus on correlation between the physical and digital library, digital gender differences, reduction of educational affects and more. We have made an unofficial translation of the report into English due to high demand. We take reservations for any linguistic errors. Quotations and public sharing of the report is not permitted. 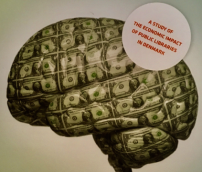 The Danish Think Tank Libraries of the Future and Copenhagen Economics has conducted the first study on the economic impact of the Danish public library. The Danish public libraries provide multiple services to the Danish public today, which overall seems to be well received by the public. However, the contributions are often measured in terms of library use (e.g. 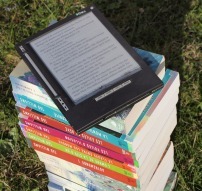 how many books were borrowed) and user satisfaction surveys, which are far from adequate when we want to discuss the role libraries play in modern society. This study digs deeper and provide the first assessment of the economic value of the public libraries in Denmark. Report about volunteers at public libraries: facts, values and expectations. 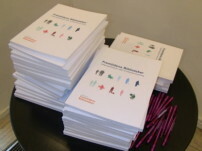 The report was launched at a conference with focus on ‘new ways of volunteering’, democracy, citizenship, participation and the role of the libraries of the future. The analysis has generated the most detailed collection of data and report focusing on the use of libraries, barriers and drivers conducted by Moos Bjerre Analysis. More than 2000 people participated, with special focus on young people between age 15 – 29. The report generated detailed operational knowledge around 10 segments and strategic policy input on the role of the public libraries. A cooperation between the Danish Agency for Culture, Danish School for Media and Journalism and the Think Tank to produce anthropologic data and concepts for the public libraries of the future. A design anthropologic team developed concepts and development paths together with 8 public libraries and their users and non-users. Analysis of reading preferences of 500 Danish students. 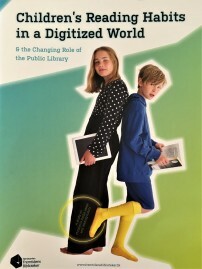 The survey’s focus is on the preferences for digital or physical materials, gender, level of education and the expectation and needs of the digital and physical library in general. The Think Tank launched a European project “The Economic Impact of Public Libraries” in autumn 2015. The aim of the projects is to share experience and knowledge on new ways of demonstrating impact and value of European libraries and address political key messages to politicians at both national and European level about the economic value of public libraries.